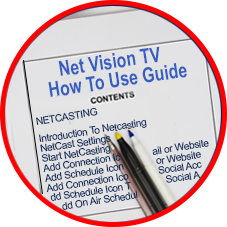 Perhaps the Highest and Best use for Live NetVision is in Netcasting Education. NetVision can be easily placed into every High School and College Class in America and the class can be seen Live by students on their tablets or smart phones from anywhere. The class can be recorded and archived for Play on Demand. If a student misses a class, they can play it, anytime. We have some of the most prestigious Colleges and Universities that will give educational credit towards a degree for NetVision assisted courses. They have entire degree programs which students can attend by NetVision classes. NetVision is Free - We believe we can cure the High Cost of Education! Live NetVision is also helping to advance Medical Science. Our Live Video Meeting and NetVision Programs enable Doctors and Medical Specialists and Patients to Video Consult. Hospitals, Clinics and Research Centers can simultaneously See Live Operations, Diagnose Diseases and Solve Problems. Governments can use Live NetVision and all the Live Net Video Programs. Government employees should remember that we don't require Processing or Purchasing Contracts - We're Free. Any Local, State or Federal Agency/Department or Employee is able to immediately use our programs. We encourage Towns and Local Service Clubs, including School Boards, to set up a Local NetVision to Netcast Council Meetings, Local Events and High School Sports. It instills Community Relations and Pride. OK, Now lets have some Fun. You can schedule a NetVision Production Show and invite your Social Site Followers to the event. The Show can be seen by open entry. Have all your Followers and their Followers publish the Invitation Date and Time. 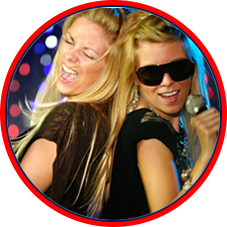 Invite Celebrity Social Site Users to participate in the event. Most Social Site Followers have an interest in your site, so the event could just be a Collaborative Discussion, like a Webinar or Convention. It could be about anything that you and your followers have a special interest in. To give you an example - We've had Musicians Gig from Remote Locations. 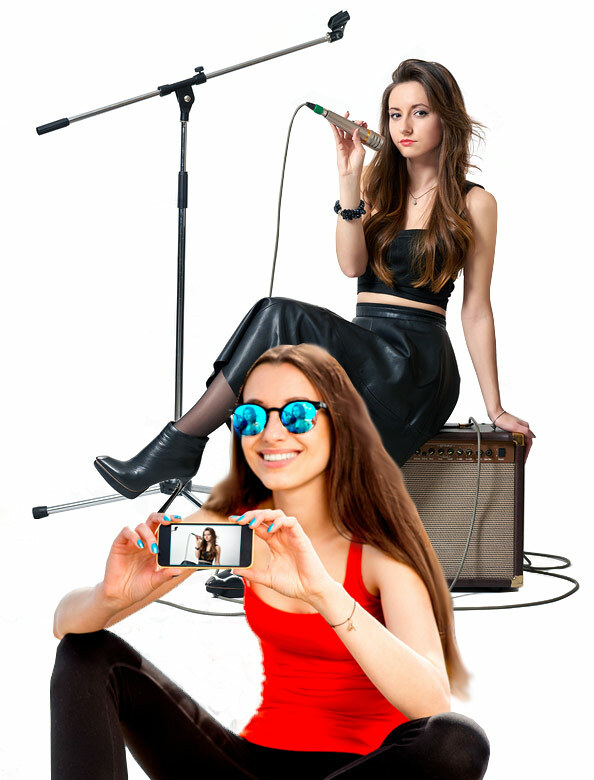 A Band Leader that played Lead Guitar formed a Cyber Band of Five Musicians. The Leader acted as the Host Moderator and asked other Social Site Musician Followers to join his Cyber Band. The Leader auditioned several musicians for each playing position. Using our Live Video Meeting program, they were all able to See, Talk, Hear, Sing and Play together. After a few practice sessions, the Moderator Leader was ready to integrate NetVision into the mix, so thousands of viewers could See the Live Net Gig. Stick around and we'll soon tell you who the Leader is. The Leader is now setting up a NetVision simulcast with Television. No, it's not Sergeant Pepper, but he sang it. Many of the Social Sites have Groups with Millions of Group Members. 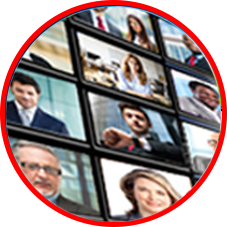 As a Group Member, you can organize Live Video Group Meetings so Group Members can See & Talk and Interact Live. NetVision enables Large Meetings with Many Groups Participating in Interactive Live Discussions. Bloggers are a Huge Group of Social Media and News Communicators. 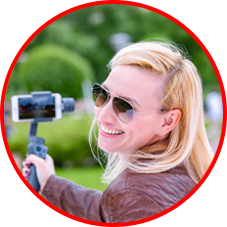 Some Bloggers have video blogs (vlogs) but now Bloggers have a new tool - “Interactive Video Blogging”. Viewing Bloggers can respond by Interactive Multi-Way video; creating a Multi-User dialogue.